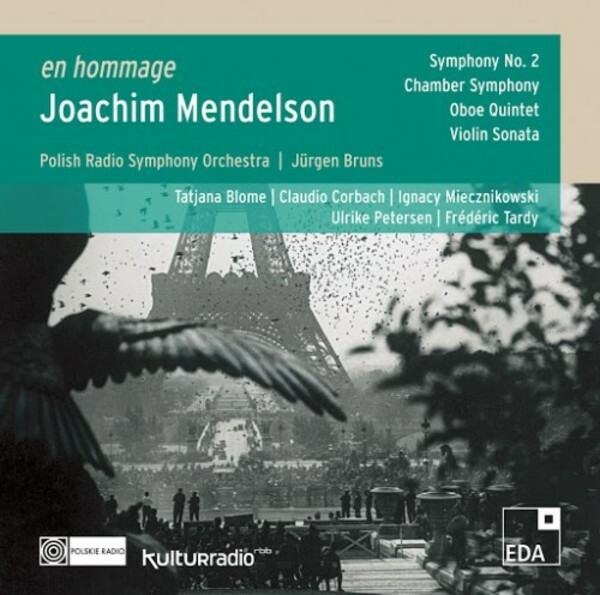 Joachim Mendelson was born in Warsaw in 1892. Like nearly all Polish composers of his generation, he went to Paris in the 1920s and joined the Association des Jeunes Musiciens Polonais. In the mid-1930s, Mendelson accepted a professorship at the Warsaw College of Music. After Nazi Germany's invasion of Poland, he was interned in the Warsaw ghetto, where he was murdered in 1943. Only five of his compositions survived. Four of these works from the late 1930s are recorded here for the first time.